Suntup Editions has announced The Dark Tower IV: Wizard & Glass art print by Dave McKean. The image first appeared on the cover of the Donald M. Grant edition of the Stephen King book. Approximately 1/3 of the cover at the top is taken up by the cover text, and now we have an opportunity to enjoy the full artwork. 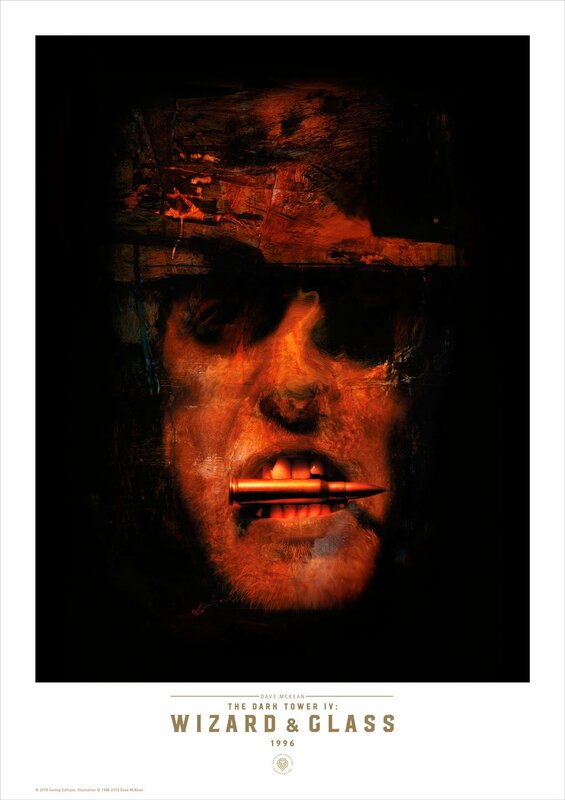 These limited edition prints are signed by Dave McKean and feature a sketch/remarque!